Heavy, thick scabbing on a healing tattoo. A new tattoo always looks its best immediately after you walk out of the studio. The artist will have rubbed in a lotion which makes your new ink shine. As yet, your skin is only raw, and not yet showing the trauma it just went through. The moment you step out of that studio door, your body begins healing itself. A healing tattoo will start to change over the first few days. Read on about what to expect. The entire healing process can take up to four to six weeks. 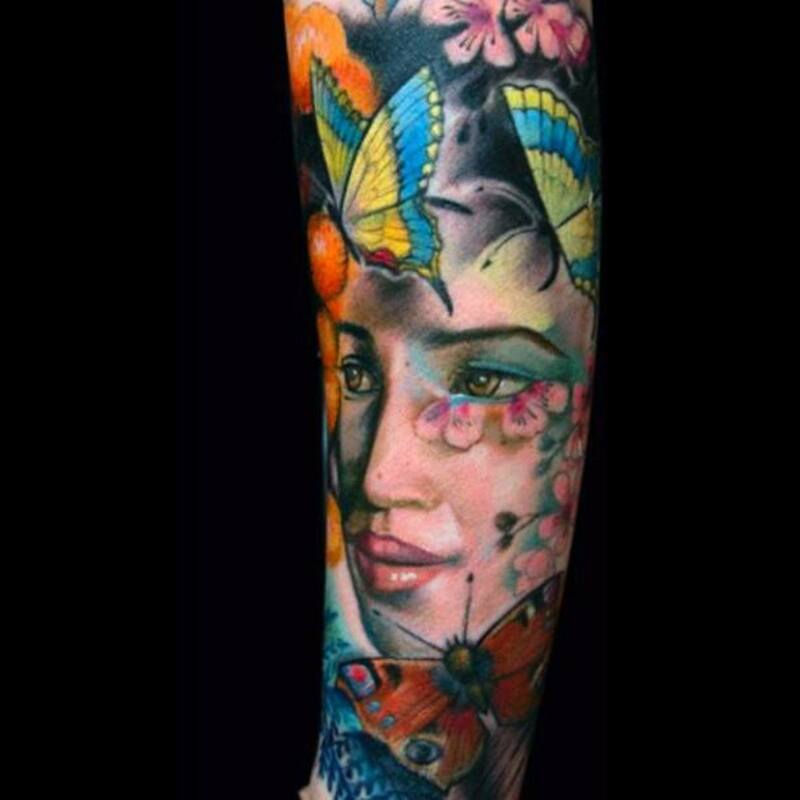 Your new tattoo will begin to develop a light, flaky skin or a thicker scab over its top. This is usually accompanied by severe itching around the tattooed area. It is normal for your tattoo to be intensely itchy while it's repairing itself. If you have developed large scabs, you need to look after them correctly and help them heal. Scabs must not be knocked, picked, or scratched off. The way you care for scabs during this time can make the difference between a good tattoo and a faded and damaged tattoo. Scabs that evolve from slight flaking to colossal-sized scabs urgently require your care. 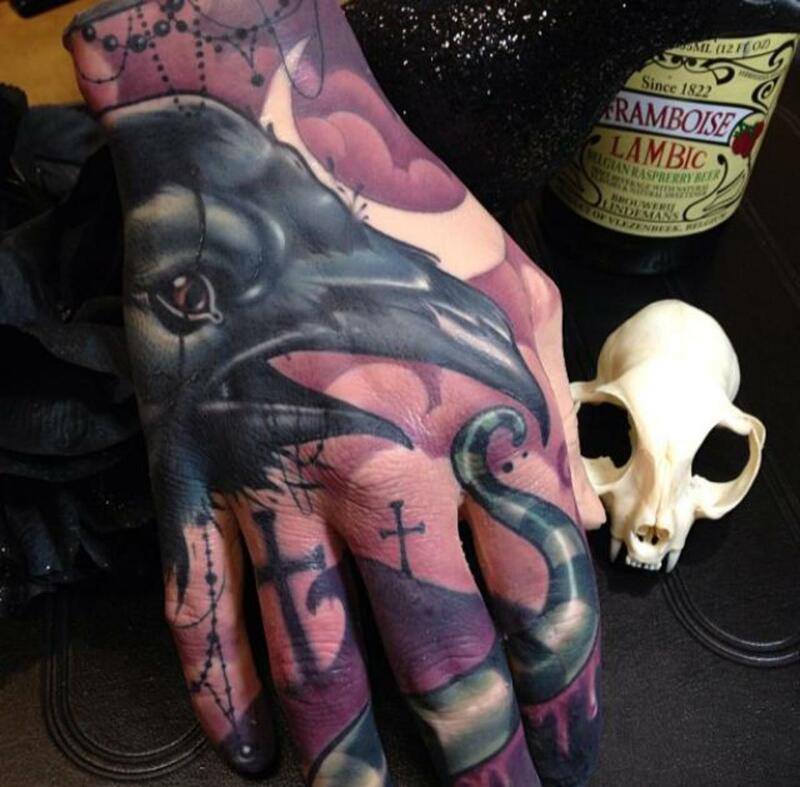 What Contributes to Scabbing on a Tattoo? Blood and plasma drying on your tattoo. Excessive application of aftercare lotions and creams. Whatever the size of the scabs you have on your tattoo, they need your care and attention. If your artist was heavy-handed, or repeatedly passed over a particular area of your tattoo, they may have inadvertently caused excessive damage to your skin. Beware: Poor aftercare and heavy scabbing can do major damage. 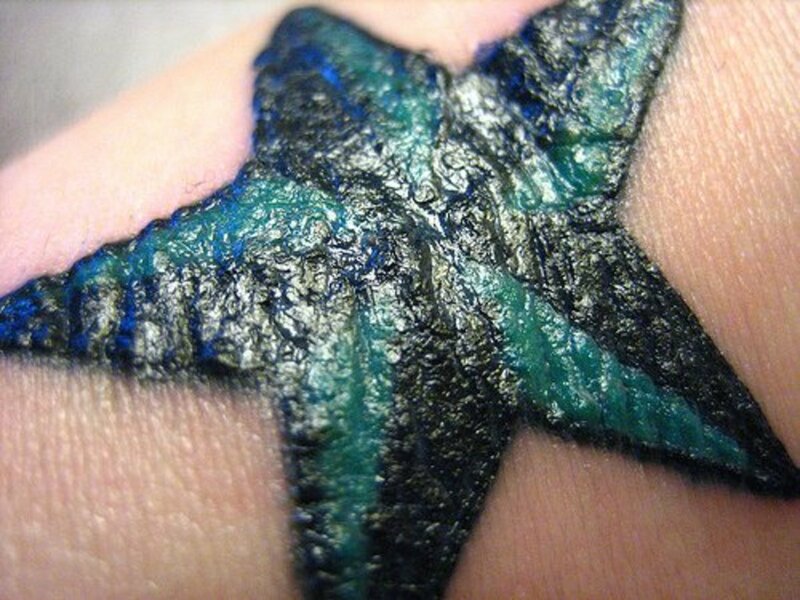 Light, minor scabs and peeling, flaky skin are normal on a healing tattoo. 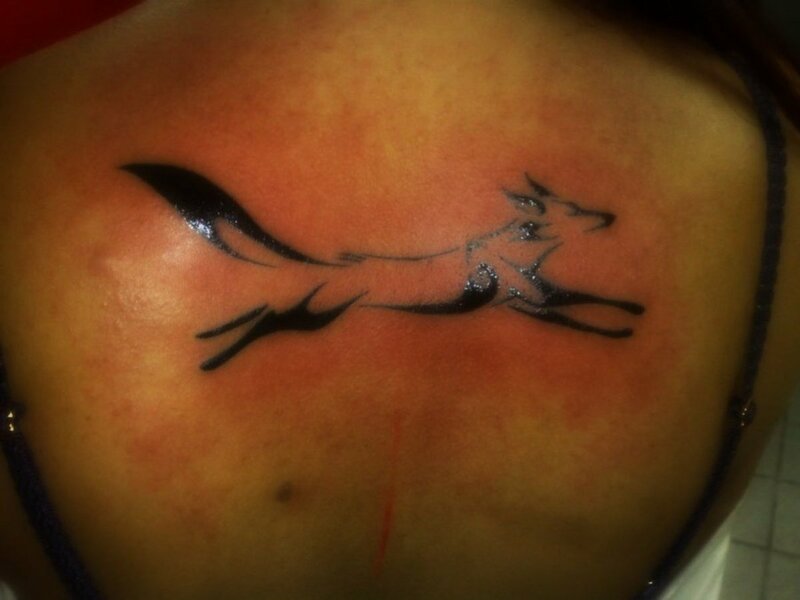 Your freshly done tattoo will go through various stages of healing. The first of these stages is the drying and sealing of your wound (your tattoo). One to three hours after you finish your session, your new tattoo will begin to secrete a yellowish, crystallized liquid called plasma. 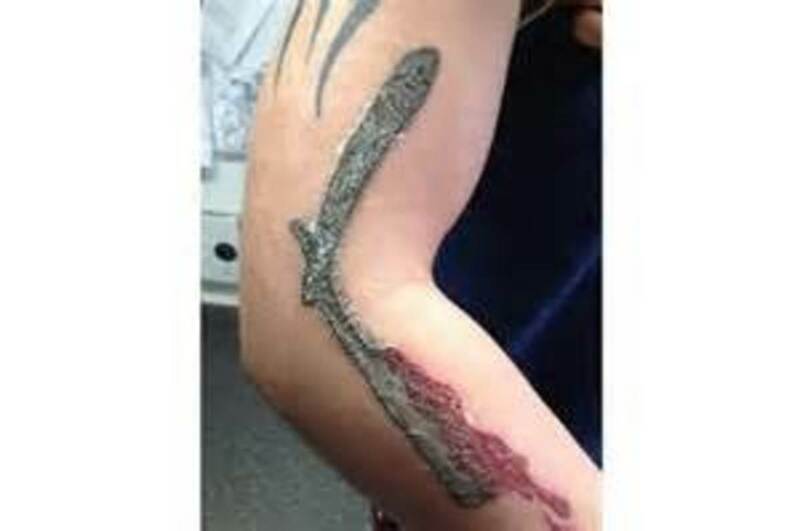 There is a direct link between scabbing, particularly scabs that are thick and layered in appearance, and plasma.This fluid, once it comes in contact with the air around you, begins to form scabs. Plasma and fluid continue to be secreted and can build large layered scabs over a short period of time. So basically, the dehydrated, crusty mass growing on your new tattoo is coagulated blood, plasma, and some excess ink, all dried by the air you breathe. 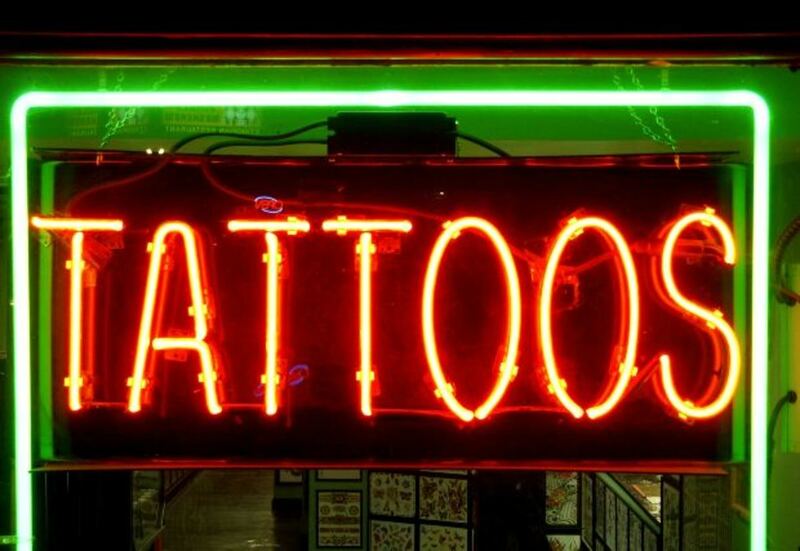 Your scabs say a lot about the health of your tattoo. When a tattoo is showing symptoms of being infected, or a yellow-and-green ooze begins to develop or pool within the scab—this is when you must go to the doctor. Scabbing on a tattoo. It appears the skin is having a major reaction to the ink used. 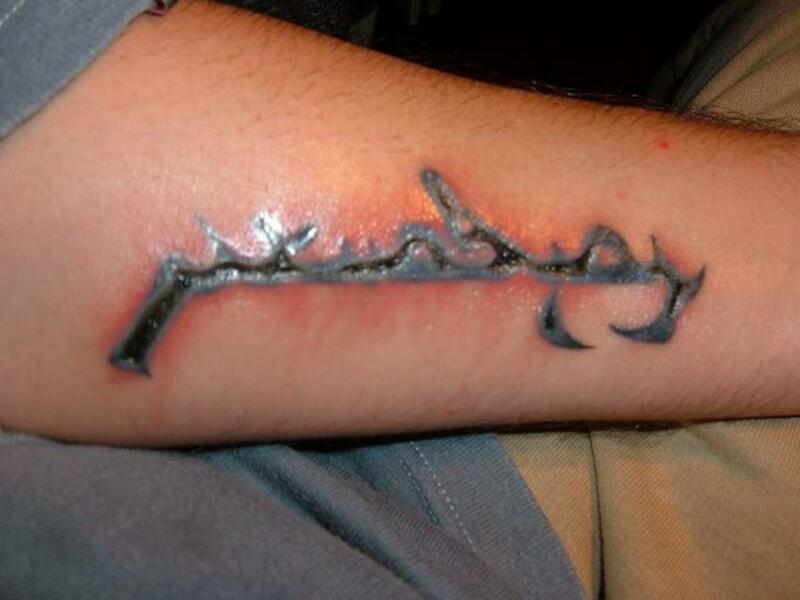 This tattoo will in all likeliness have substantial damage. Considering that some minor flaking of the skin is a natural and required part of the healing process, air drying of the skin is essential. Scabs need to dry, crumble and fall off naturally. If your tattoo has developed scabs, and those scabs come off too soon, it could potentially cause fading of color, patchiness, blended lines or missing elements of your design. 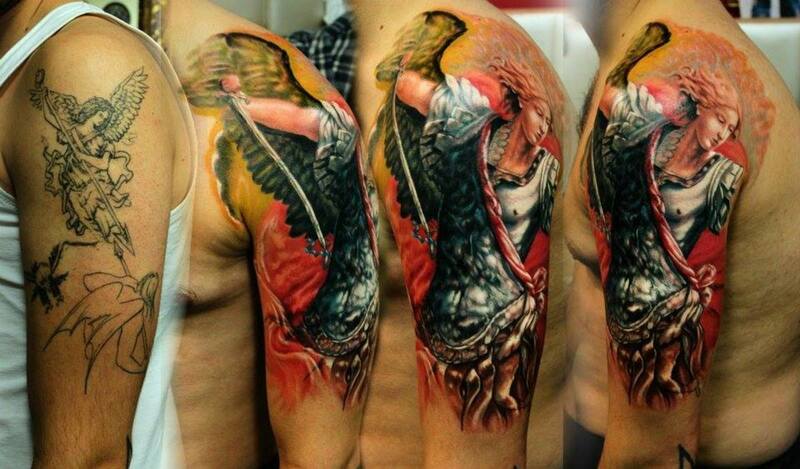 In many countries, the law states a new tattoo must be covered and secured before a client leaves the studio. This is typically done with cling film or muslin cloth. Protect it from rubbing and injuries. Stop dust and microbes from entering the fresh wound. Limit the air reaching the new tattoo so that it doesn't dry and form scabs too quickly. Wrapping your tattoo with cling film can be a risk. Cling film does not allow your skin to breathe and creates a warm environment that bacteria love to breed in. If you only have cling film, use it for the shortest length of time possible. Thoroughly wash off all the fluid and ooze that has formed within the plastic wrap. Wash your hands thoroughly before doing any aftercare. Do not remove the plastic or cloth cover applied by the artist until you can wash your tattoo in a clean place. Use an anti-bacterial foam to wash and gently clean the plasma, blood, and ink completely off. Book your sessions for shorter time frames, so you're not over-working your skin and causing extra damage. Follow strict infection-control practices while being tattooed and immediately afterward to avoid infections. What size scabs have formed on your tattoo? An infected tattoo may have a green and yellowish crust or slimy area. You may also see red streaks or experience shooting pain. Excessive swelling and fever are signs of infection. If you suspect an infection, see your doctor immediately, not your tattoo artist. Tattoo artists are not medical professionals. If you delay seeing a doctor, the infection will have extra time to develop. For scabs to heal, they need to dry out so they can crumble and fall off naturally. For the non-scabbed sections of your tattoo to continue healing, they will need to have aftercare cream rubbed into them. Do not apply aftercare lotions or creams to the scab itself; this is crucial. Go around your scab when applying aftercare creams to the rest of your healing tattoo. Do not pick or scratch off scabs of any size, as this removes ink that should otherwise gradually leach back into the skin. After approximately two to three weeks of heavy scabs adhering to your tattoo, you can start taking some assertive action to assist the removal of the more stubborn scabs! When your scab starts lifting and crumbling, be extremely careful when performing any aftercare procedures or doing anything. This is when you must protect the scab the most, particularly from things that may pull or knock off the hanging or lifting sections of the scab: clothing that binds, or people who bump into you in crowds. Wrapping your scabbing tattoo in a hygienic bandage can help protect your scabs from being ripped off. 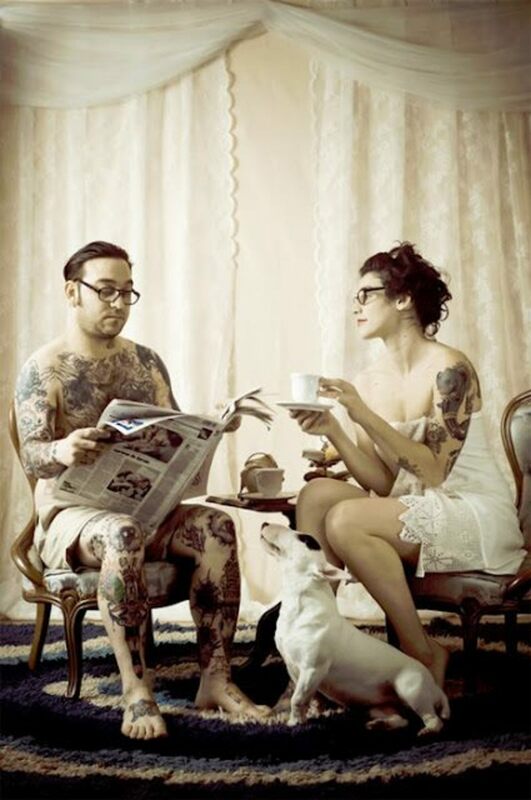 Some of the methods described below come with some risk and may be controversial in the tattoo community. Have personal discretion when following the below options. Wash your tattoo like you normally would in the shower. Let the warm water flow over the scabs for a few minutes. Gently pat dry with a clean towel. Your scabs with start shrinking and then begin peeling naturally as they dry out again. Repeat each time you would normally have a shower. When a scab is very thick, lay a clean, wet face cloth over your scabs for no more than two to three minutes while showering. The scab will soak up a bit more water, and as it dries, the edges of the scab will start to lift. When dealing with scabs that just won't crumble and fall off themselves, you can try this as a last resort. After you lay your face washer over the scab and the scab is reasonably waterlogged, you want to very gently, with a cupped palm full of antibacterial wash or soap, roll your hand over the scab whilst the warm water is still running. This will help the edges start to lift away, but it must be done gradually and very gently. Important note: This last process, in particular, is quite risky. Only do it in small, repetitive lots and no more than twice a day. 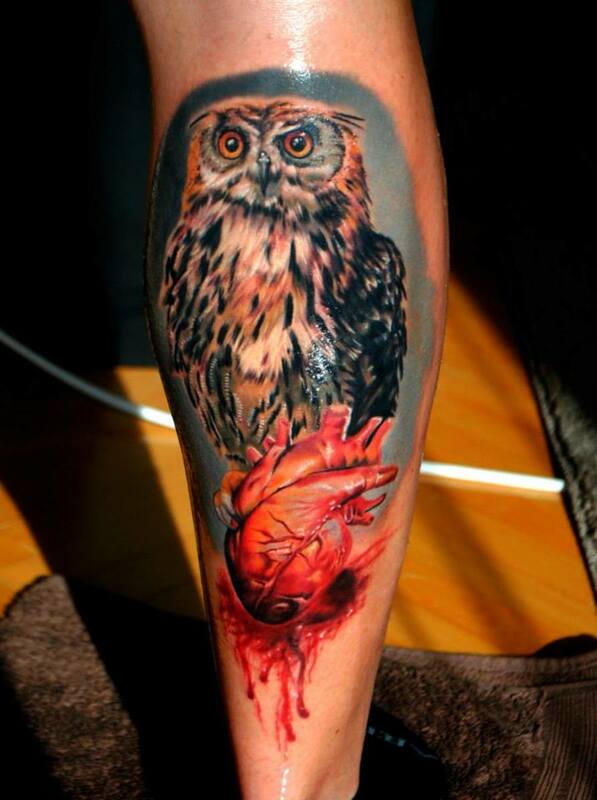 This option is a last resort and is done at your own discretion as there's high risk of damage to your tattoo. Unfortunately, that damage may have already been done by the heavy scabbing process. Always pat dry with a clean, hygienic towel. Do not rub or agitate the scab with a towel or a face washer at any point. All the above suggestions are recommended to be performed in small, gentle, repetitive lots. Excessive friction to remove the scabs could damage your tattoo. Good article. Most of my tattoos have been very minimal to no scabbing at all. A couple of them had pretty yucky scabbing and one was on my foot so as you mentioned, it got kicked by someone outside and yeah..damaged tattoo now.